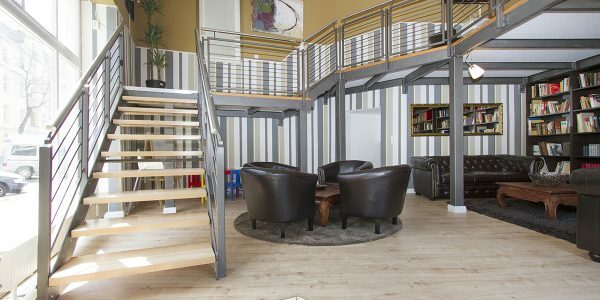 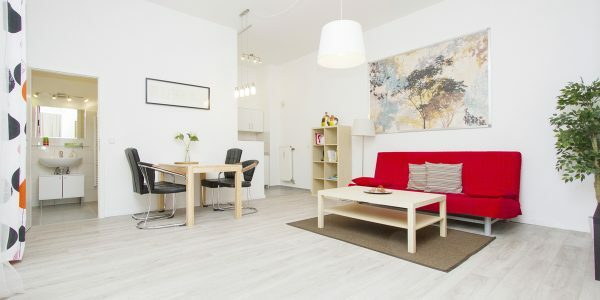 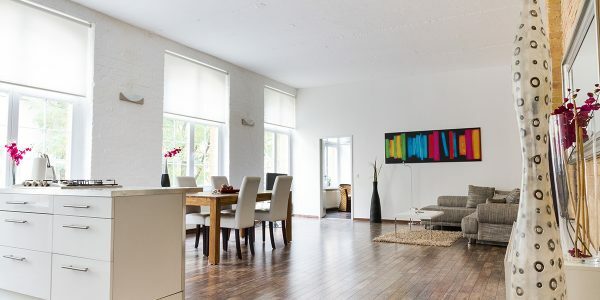 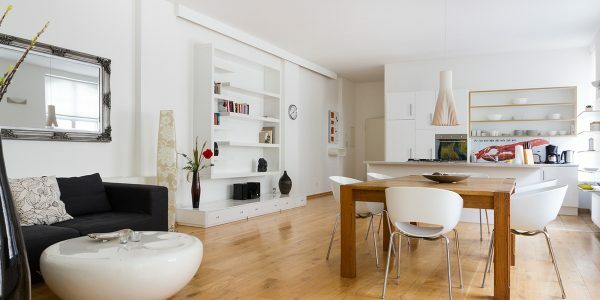 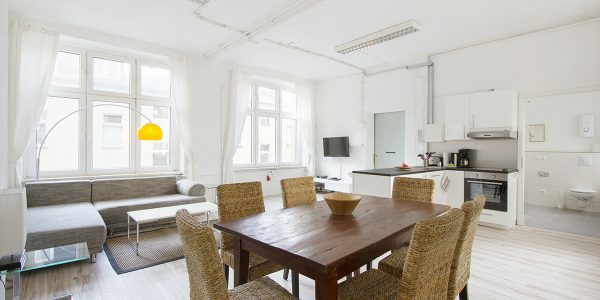 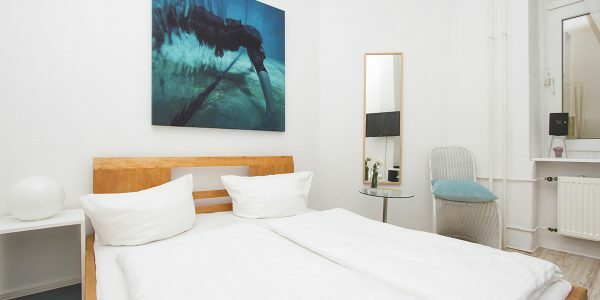 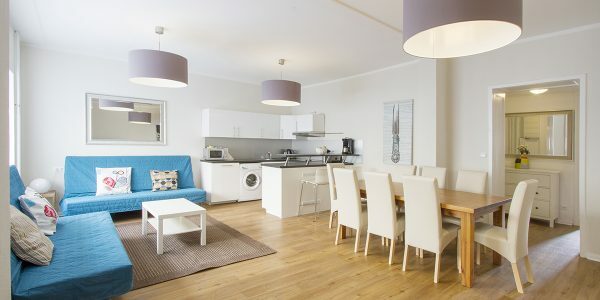 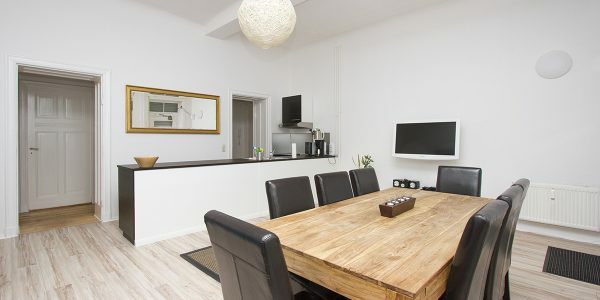 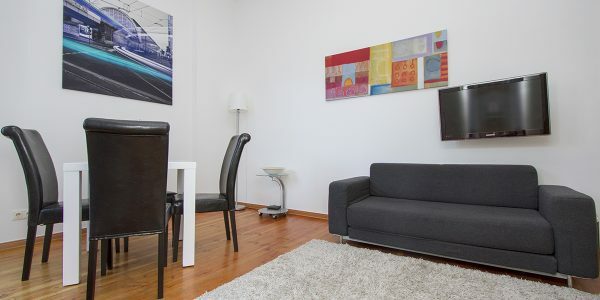 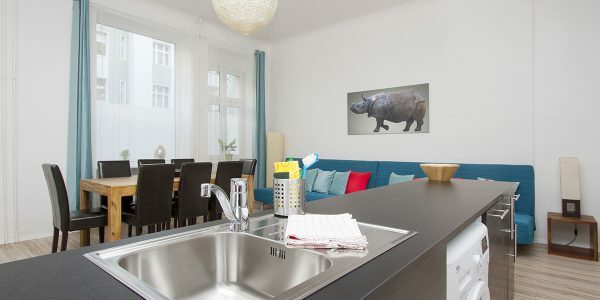 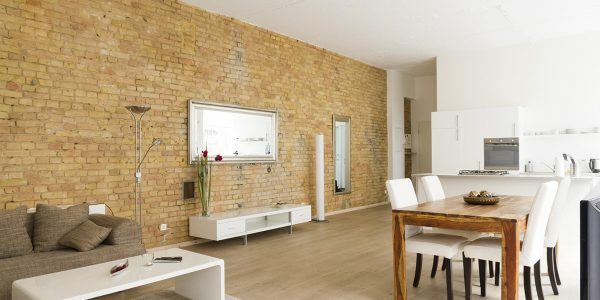 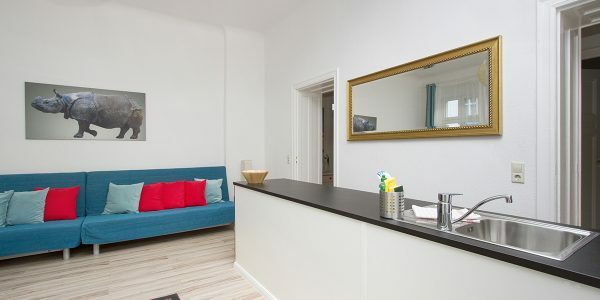 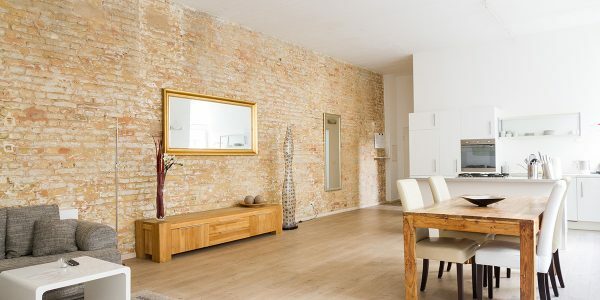 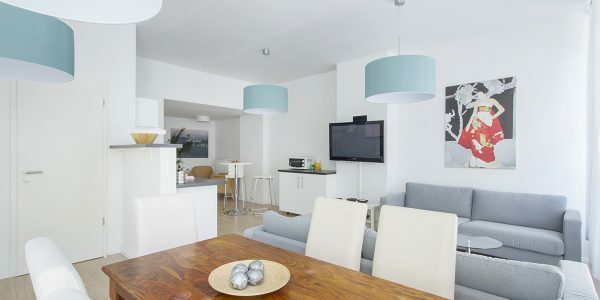 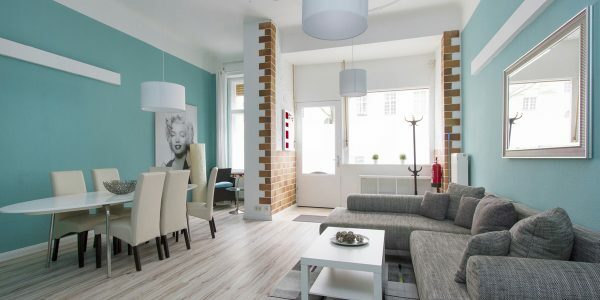 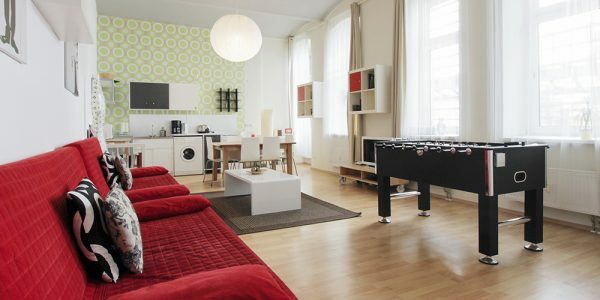 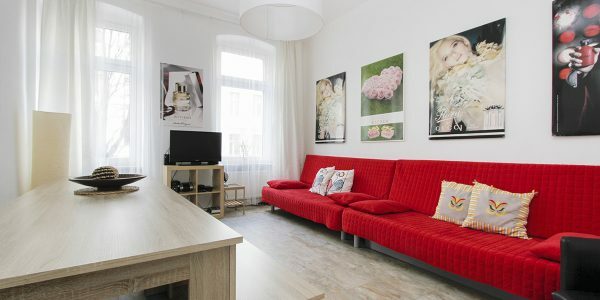 The apartment is perfect for families and larger groups who want a quiet yet central place in the heart of Berlin. 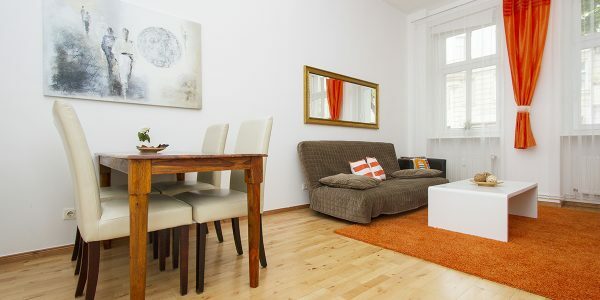 It is located 200 meters away from the subway stop Wollankstr. 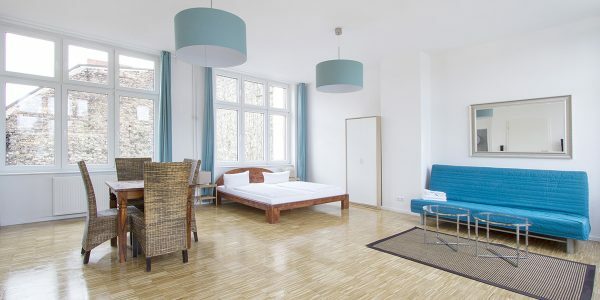 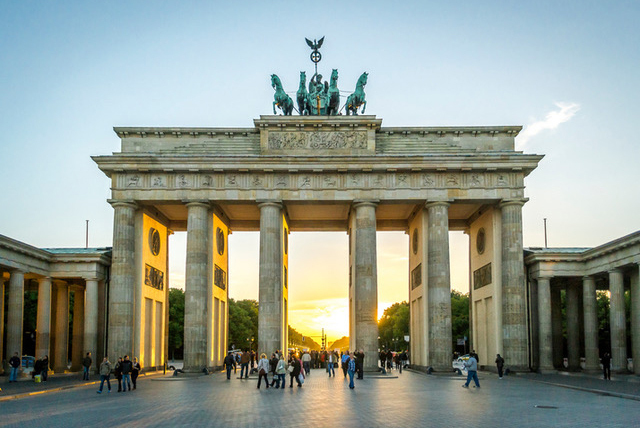 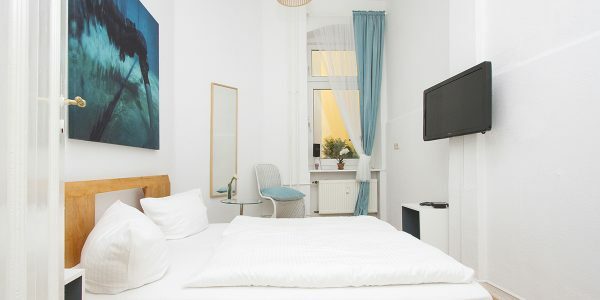 It is located in a quintessential Berlin neighborhood with its old town charm. 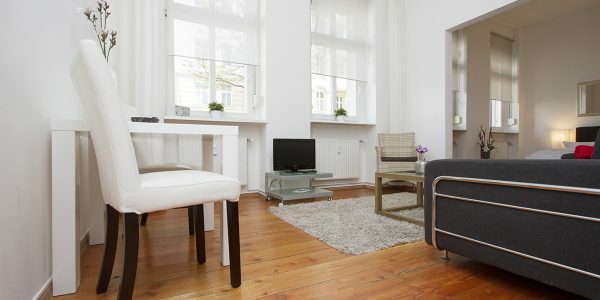 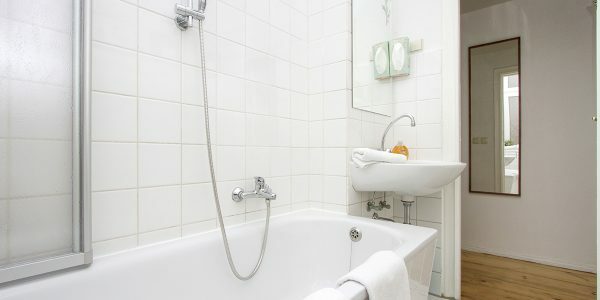 Everything needed for a comfortable stay from bakeries to restaurants and super markets is just a short walk away. 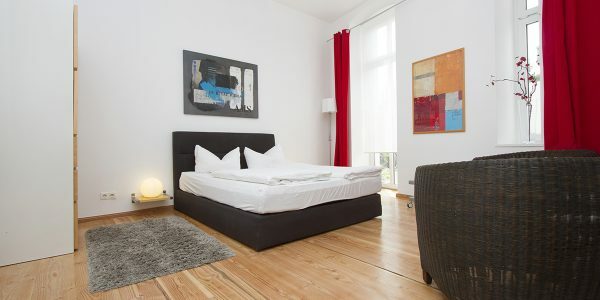 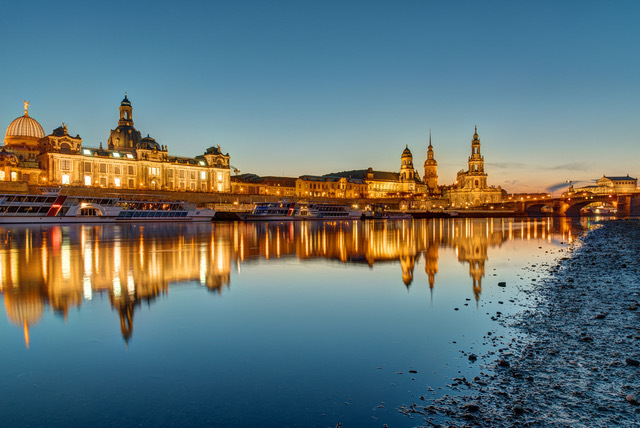 The popular district of Prenzlauer Berg is only two subway stops away. 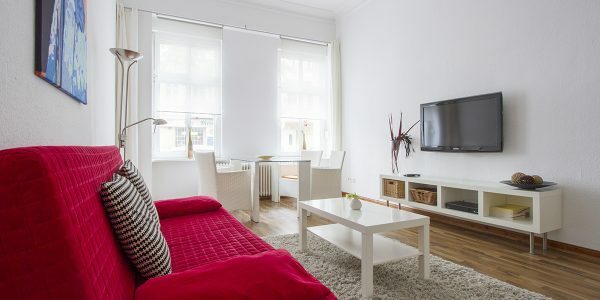 When entering the apartment, you will meet a bright and spacious living area with an open kitchen, flat screen TV, DVD, stereo, two pull out couches comfortably sleeping two people each and a comfortable eating table. 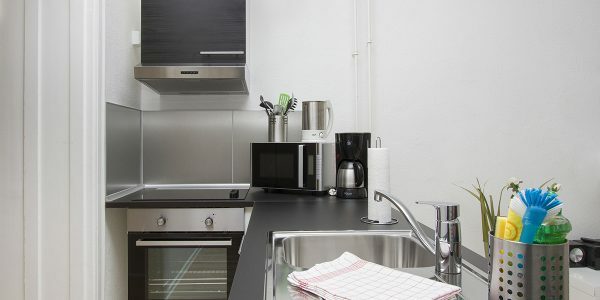 The kitchen is equipped with everything needed to cook a good meal. 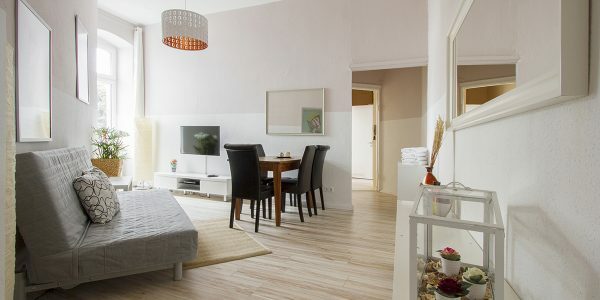 Behind the living area a hallway connects the bedrooms and bathroom. 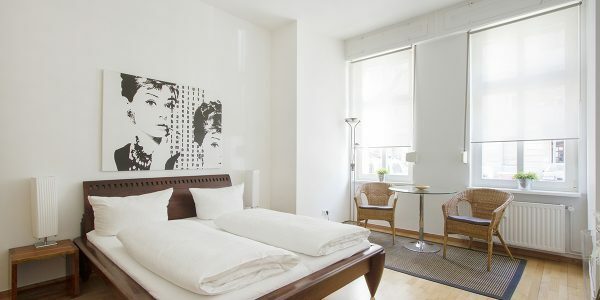 The first bedroom offers a queen-size bed an flat screen TV. 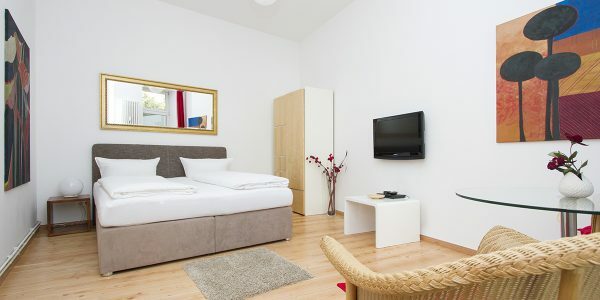 The second bedroom is a pass through room and offers a queen-size bed, sitting area and flat screen TV. 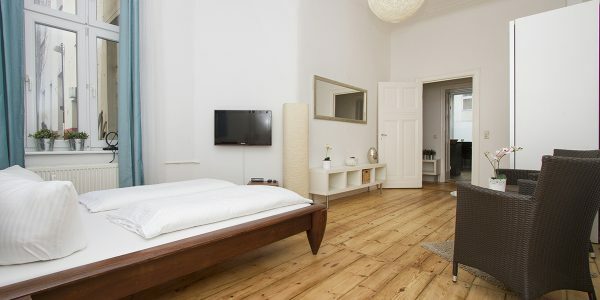 The third bedroom offers two queen-size beds. 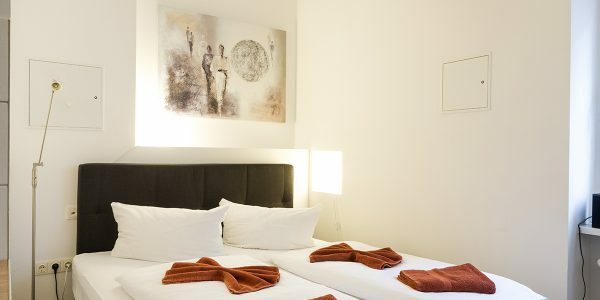 All bedrooms are located in the rear towards the courtyard offering a quite night of sleep. 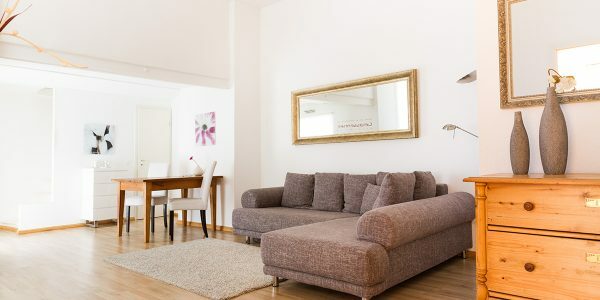 The two pull out couches can also be used as beds. 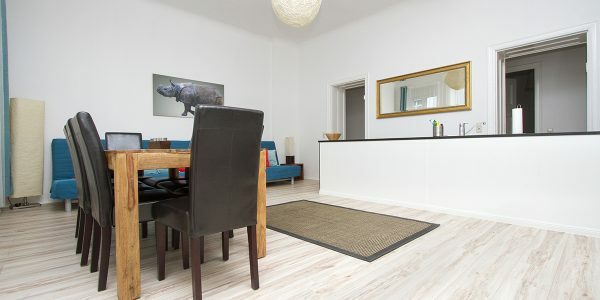 The apartment has high ceilings, wood and laminate flooring and is located on the ground floor with a separate entrance to the street. 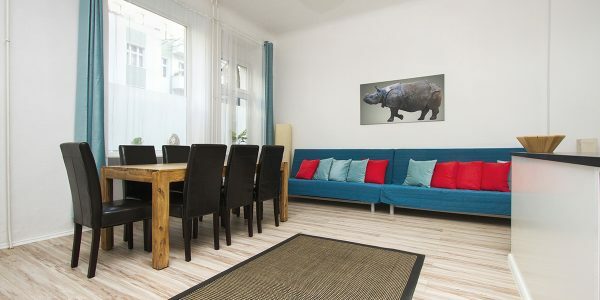 A few steps away from subway stop S-Bhf Wollankstraße. 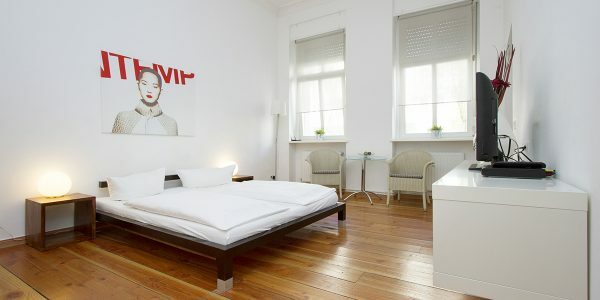 It is located in a quintessential Berlin neighborhood with its old town charm. 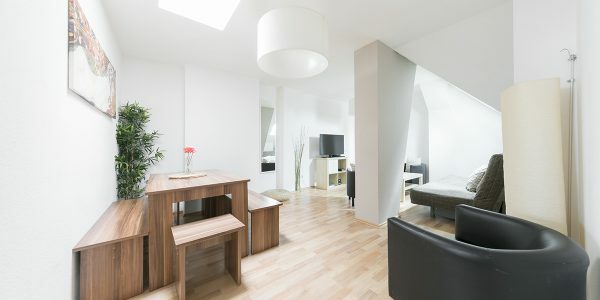 Everything needed for a comfortable stay from bakeries to restaurants and super markets is just a short walk away. 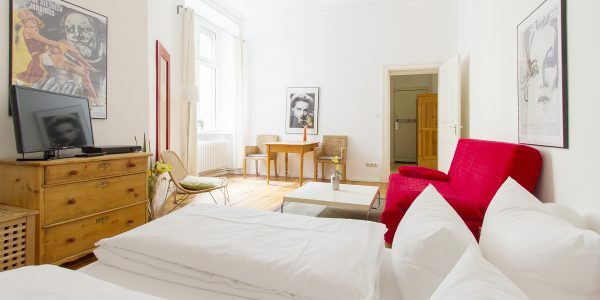 The popular district of Prenzlauer Berg is only two subway stops away.